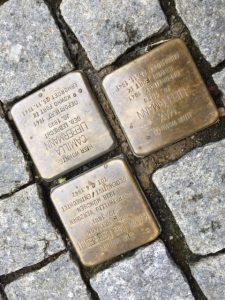 Two avid historians helped us with getting access to the Jewish sites in Ansbach, Germany. We met Alexander Biernoth and his friend Stefan Giestzinger on a frigid mid-April morning. 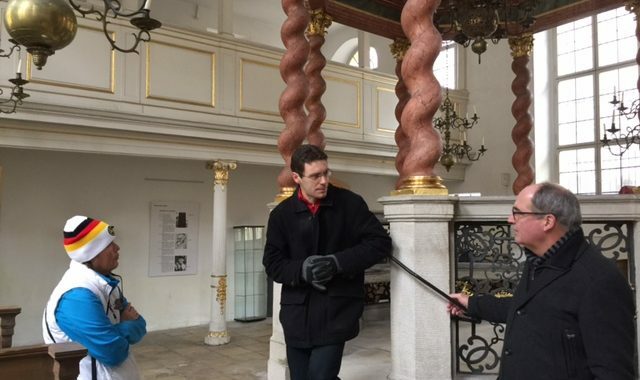 Both were extremely well-prepared, opening the historic Jewish Synagogue for us at the start of our walking tour of the center of this historic small city. 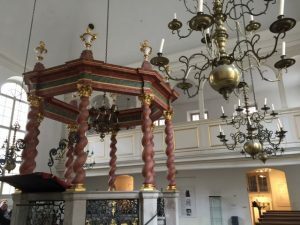 The synagogue was not burned in the Kristallnacht, because it was located too close to other buildings. It was partially destroyed inside, and then carefully restored with the help of American military officers stationed here after the war. Our tour ended with a visit to the old burial place of the Markgrafen and his family and the Jewish cemetery. Caroline’s ancestors left in 1840, so we didn’t find any ancestral graves here. 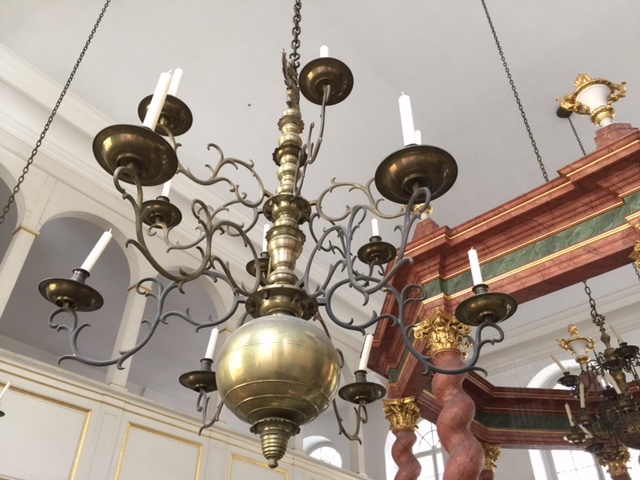 Her family name from Ansbach was Schnaittach. Posted in Family History Tours and tagged ansbach, franconia, gries, hamburger, middle, schnaittach.